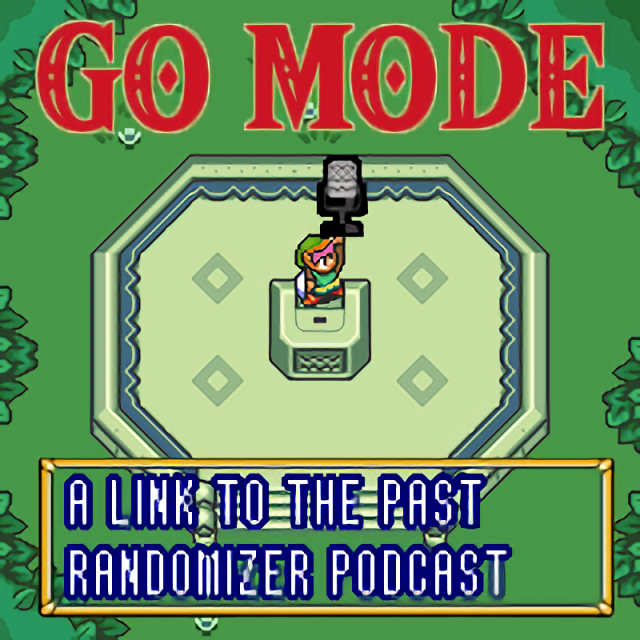 Check out Go Mode: A Link to the Past Randomizer Podcast! In aLttP Randomizer, the Pedestal that typically contains the Master Sword in Vanilla aLttP contains an item. The odds are against this item location containing an important progression item, but it does happen sometimes (known as a “pedestal seed“). If the player has the Book of Mudora, they can read the front of the pedestal in order to learn what the pedestal contains in this seed. However, if a player doesn’t have the Book, they may decide to make the incredibly bold decision to go ahead and collect all three pendants and collect, or “pull” the item contained within without knowing for sure what it contains. This is known as a Blind Pedestal Pull. It may sound non-nonsensical or counter-intuitive, but there have been races where the two racers have agreed ahead of time to execute a Blind Pedestal Pull. It’s also a secret hope of most race watchers that the runners will get desperate enough to try one, so the term gets thrown around more than you might think it would.